Printed Latex Balloons There are 6 products. 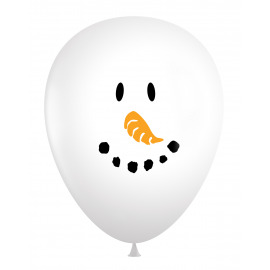 Celebrate the winter season with this 24" latex Balloon. Perfect for a balloon column topper. Sold in packs of 5. 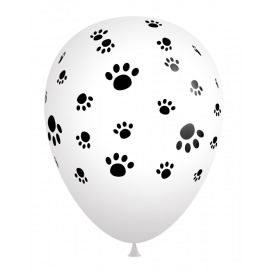 Black and White Paw Print 11" Latex Balloons by Qualatex- Woof! 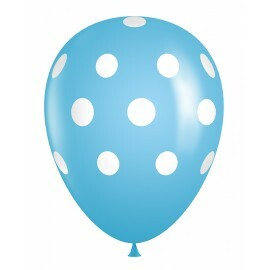 Price is for a bag of 50 11" Qualatex Latex Light Blue Polka Dot Balloons. Price is for a bag of 50 11" Qualatex Latex Pink Polka Dot Balloons. Price is for a bag of 50 11" Qualatex Latex Red Polka Dot Balloons. 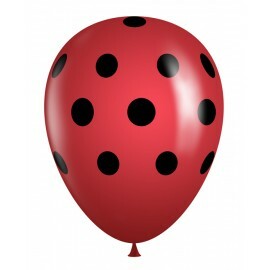 Price is for a bag of 50 11" Qualatex Latex Red Balloon with Black Polka Dots.